Here at Viking Island, you will find Viking Island, a small fly-in lodge dedicated to fishing. It takes a short flight by float plane to reach Douglas Lake from Red Lake. Now you are in Woodland Caribou Wilderness Park. 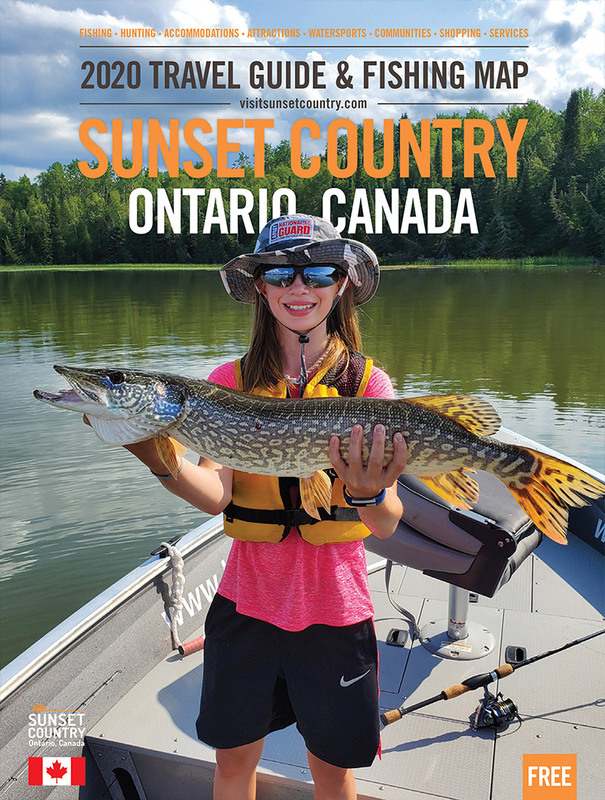 This is beautiful remote country, renowned for walleye, northern pike, perch and lake trout fishing as well as wildlife viewing. Our 9 portage access lakes are deep, but not huge, and closely connected with plenty of bays, the perfect setting for a relaxed fishing trip. Staff are on site for fishing advice and maintenance. The atmosphere on the island comes from another time. We have a maximum of 30 guests in camp per week and many have been visiting us for years. Choose from 4 fully equipped cabins with complete kitchens and propane BBQs with 2 rustic cabins for large groups to spread out. Linens, blankets, pillows and towels are provided. Stock items like salt, sugar, peanut butter and such are provided. You can bring your own meat, dairy and produce or send us a list and your fresh food will be waiting at our base to fly out with you. A fish cleaning building is available for you to fillet your fish or you can relax and let us take care of it for you. Conservation fishing licences are provided and beverages are sold on site. The Lodge has Internet and cell phone service. A Solar System provides 120/240 volt of Green Energy 24 hours a day. Cabin Rentals (Housekeeping): Our 4 modern cabins come fully equipped with 3 piece bathrooms and a fully stocked kitchen complete with a BBQ and propane fish fryer. Our 2 log cabins can be booked in conjunction with a modern cabin for larger groups that like to spread out. Canoe/Kayak Outfitters: Make Viking Island the start of your canoeing adventure on the 1.2 million acres of Woodland Caribou Provincial Park, exploring either the Gammon or Bloodvein river systems. Bring your own canoe or use ours. You will be treated to the breathtaking scenery of the Canadian Shield. Walleye: Walleye fishing is amazing, from early spring to late September. From shallow fishing in the spring to deeper water in the summer. Northern Pike: Northern pike fishing is superb at Viking Island Lodge on Douglas Lake. This is one of the best fishing lakes in Canada. Try us on your next fishing trip. We catch many pike 40 inches and larger. Lake Trout: Lake trout are a freshwater Char that live in cold oxygen rich inland lakes. Canadian lake trout anglers will fish fall and spring when the trout are more active looking for that trophy laker .